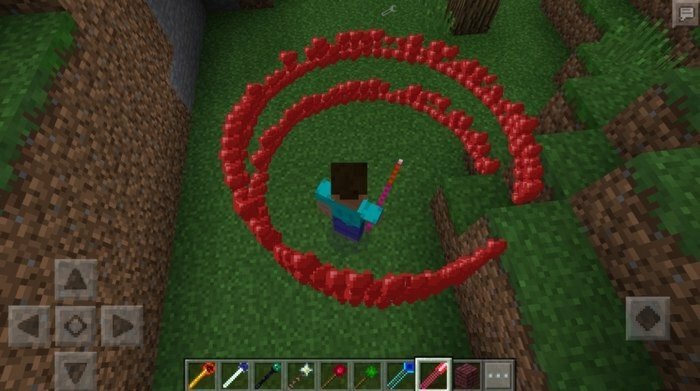 This mod adds magic staffs with different powers into the Minecraft PE, feel yourself a real wizard. At first you will need to craft one of the staffs, to use them you will need to tap and hold on your screen, but be careful because staff will start using the power constantly. Be careful when using Wither Staff, it shoots with blocks of TNT, so you can tear everything apart, by accident. 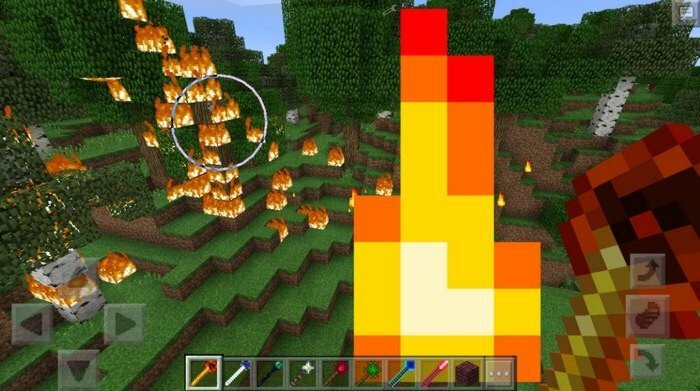 Feel the real power of magic, using this cool mod. This staff can instantly restore all of your health making you almost invulnerable.